I personally used these websites for all my travels. My hotel is near Gwanghwamun and thus took the first bus for this route for the day. 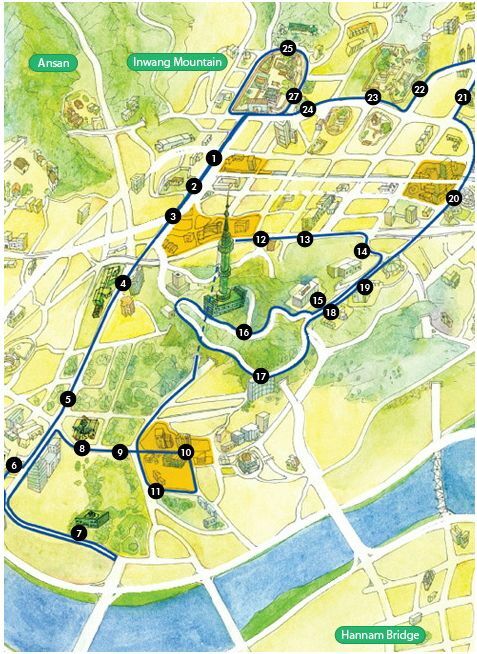 Even though this route uses only a Single-decker bus, I managed to enjoyed the 26 tourist attractions of Seoul. I paid for the ticket using credit card as I bought it at the Gwanghwamun ticket booth. I hop-off at sights further away from my hotel and I revisit the sights nearer to my hotel the next day using public transport using T-money transport card.